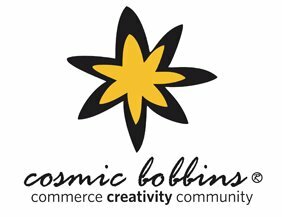 I am so thrilled to announce that our products will be in a holiday pop up shop called “Cosmic Bobbins”. The idea of a pop up shop is a short term lease of a storefront, with the goal of a holiday boutique… Christmas comes and the store lease ends. This year will be the second year Shari Renee, owner of Cosmic Bobbins, will be opening her doors to the world, with a collection of 30 hand selected artists products, making her boutique a wonderful place to stop for unique items. This year the storefront is at Shaker Square, located in the former wine shop, tucked nicely between the Fire restaurant andYours Truely. The storefront has such a charm and appeal, i can only imagine what Shari will transform it into. Grand Opening is November 1 at 6-9pm…. The address is 13226 Shaker Blvd (right on Shaker Square between Fire Restaurant and Yours Truely Restaurant). Come out for fun! Come check out the wonderful locally made handmade goods… and celebrate with Shari!